What happened to ‘do all we can’ to protect miners? February 29, 2012 by Ken Ward Jr. But it’s interesting to see how their rhetoric about coal-mine safety has evolved in the nearly two years since the Upper Big Branch Disaster claimed 29 lives in our nation’s worst coal-mining disaster in nearly 40 years. We’ve been through some of this before, but it’s worth repeating and updating. Today is no doubt another difficult day for the family and friends of the brave men we lost on the afternoon of April 5, 2010. I hope that the Report will bring some closure to their families. They and all West Virginians have my commitment that we will do all we can to make sure that a disaster like this never happens again. This report, coupled with those previously released by other parties, and the forthcoming report by the State Office of Miners’ Health Safety and Training, will provide us with the necessary analysis we will use moving forward to do all that is necessary to prevent another mining disaster. Much like the other reports on the tragic explosion at the UBB mine — one common theme prevails; this disaster was preventable. I am committed to making sure that our laws are properly enforced and that we pass meaningful mine safety legislation. We simply cannot bear another mine disaster in West Virginia. I am working with the Legislature to make sure that my legislation, currently pending in the House of Delegates, passes so that we can work to prevent another mine disaster from occurring. I am confident that the Legislature will soon pass House Bill 4351 so that I can sign it and we can immediately begin its implementation. Today, the House of Delegates passed House Bill 4351, one of the most significant pieces of mine safety legislation in recent memory. My staff and I have worked tirelessly over the past several weeks with the affected stakeholders and the legislative leadership, including the Speaker of the House of Delegates and President of the State Senate, to advance my comprehensive mine safety legislation towards final passage. Working with Speaker Thompson and President Kessler, we have improved and expanded HB 4351 and I’m confident that passage of the reforms in HB 4351 will not only make our coal mines safer, but will also save lives. I look forward to continuing to work with the State Senate to pass this important piece of legislation and to the day it arrives on my desk for signature. If the unthinkable happens again in West Virginia’s coalfields, will Gov. 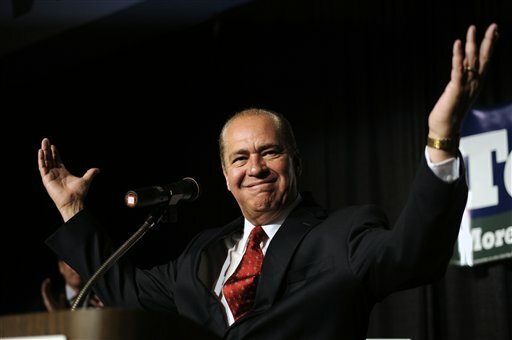 Tomblin and legislative leaders be able to tell the families that they did everything they could to prevent it? I would be interested in seeing your prescription for a “good” mine safety bill. Also, I am not understanding your apparent opposition to drug and alcohol testing. I would think that would be part of any good mine safety program. Explain. Looks like they are willing to do everything in their power to “protect miners” as long as they don’t have to try too hard or be inconvenienced…they really can’t be bothered to do much else except assure their own comfort…Pitiful really. Reminds me of the Malcolm X quote that you can’t stab a man in the back 9 inches, pull the blade out 6 inches, and then celebrate your progress.